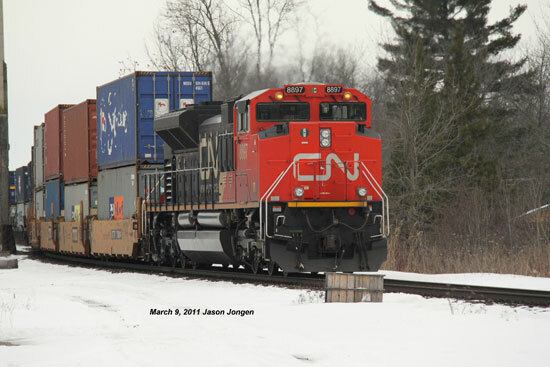 I met Jason Jongen at an operating session on Al Crisp's layout near Severn Bridge, Ontario, north of Toronto. 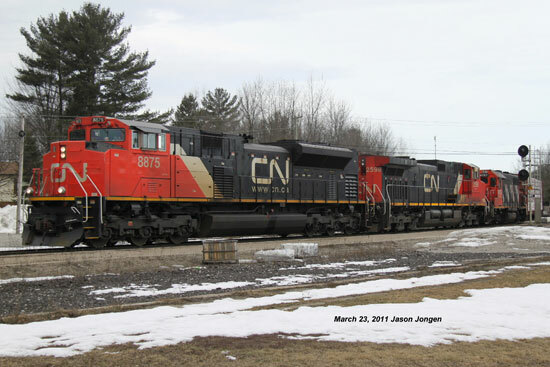 (Because Jason knows the layout's controls well he was engineer for train 431/432 and I was learning the ropes as brakeman and conductor. 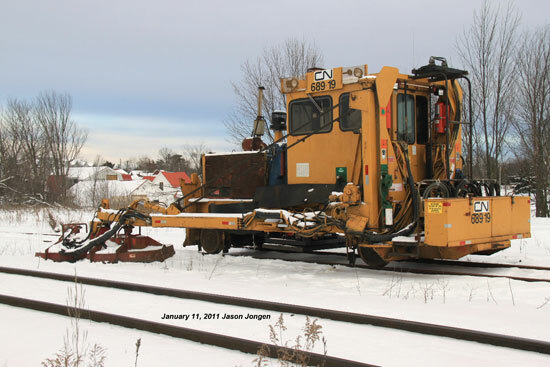 I'll post a video from the operating session. 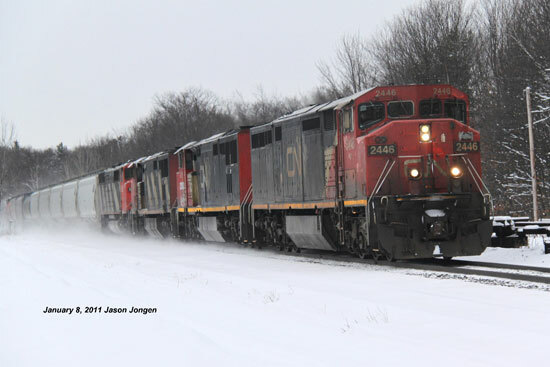 I tried to take some video when I had a few minutes clear). 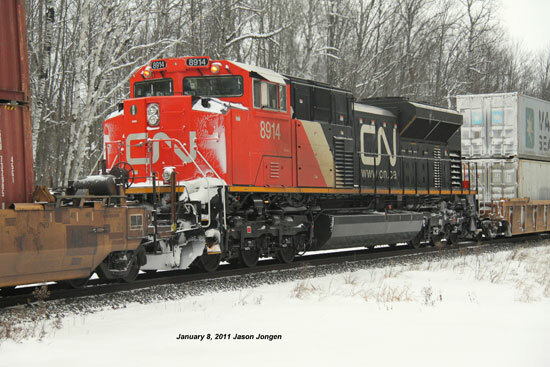 Jason is an accomplished photographer who has a large collection of Canadian train photos. 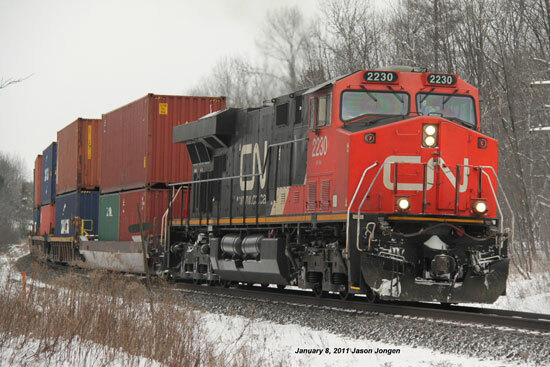 He has been sharing his pictures with friends and colleagues. 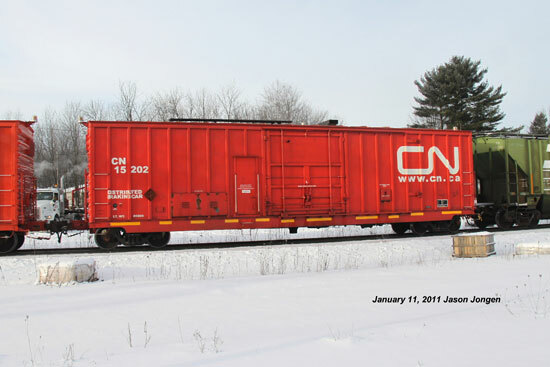 He gave me permission to post some of his Canadian train photos here on my website for your enjoyment. 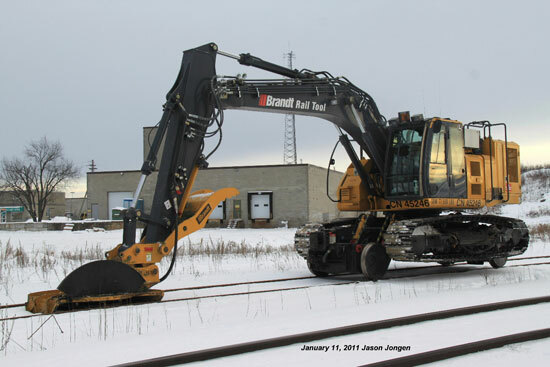 The next two pieces of equipment were working between Washago and Gravenhurst in January, 2011.
between 9 and 10 am. 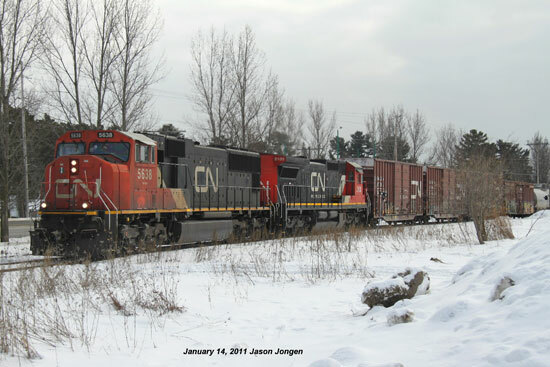 On January 14, 2011, Jason was out again with his camera. 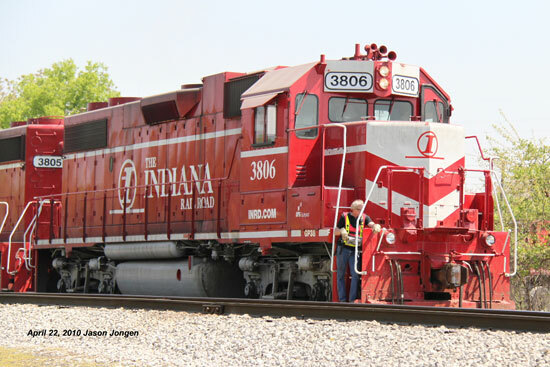 All the descriptions are from his notes. 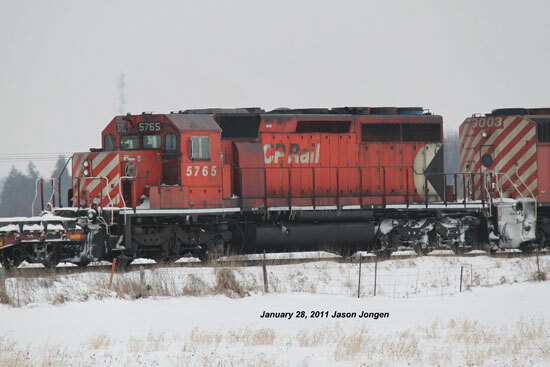 CN5638, an SD751, on CN451 at mile 112.3 on the Newmarket Sub. 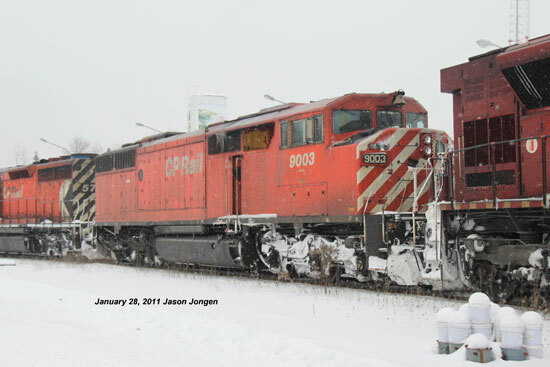 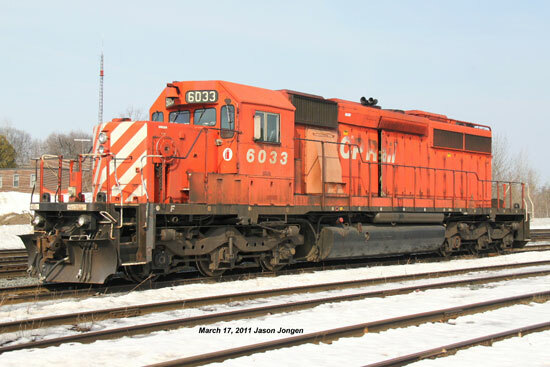 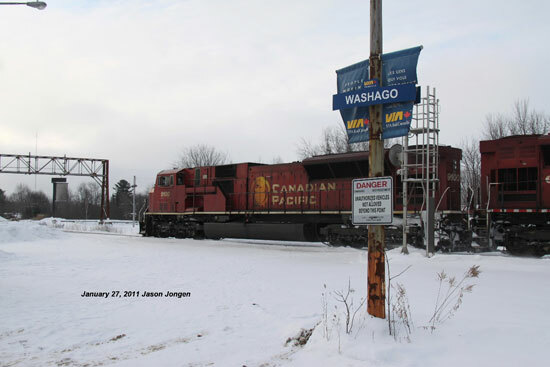 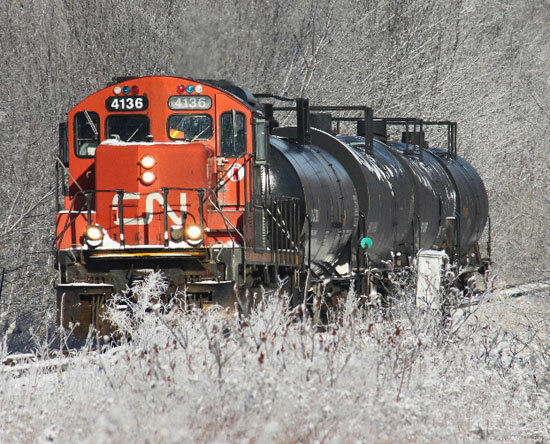 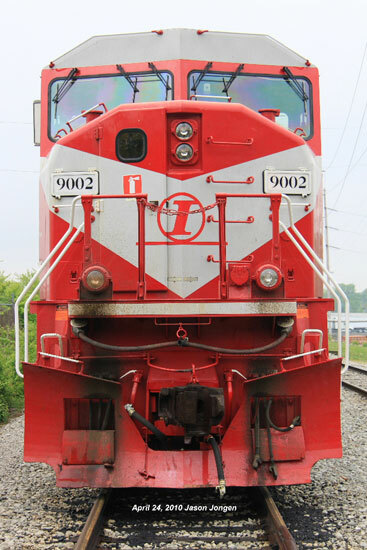 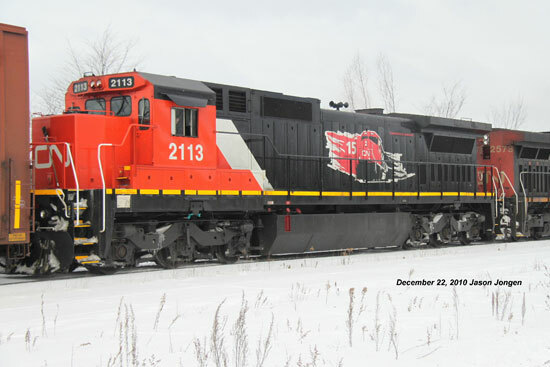 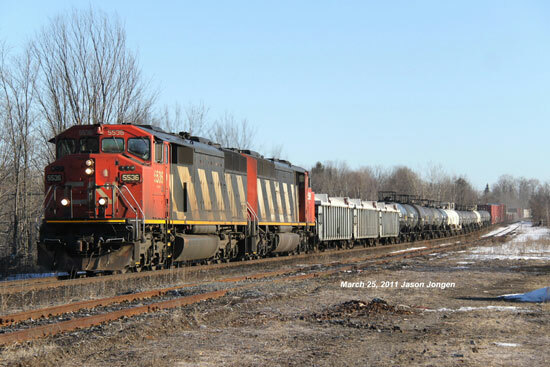 There was a derailment on the CP Mactier Sub at Buckskin on January 26, 2011 that closed the line for a few days. 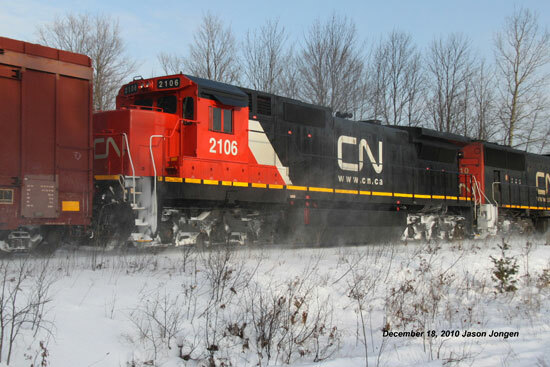 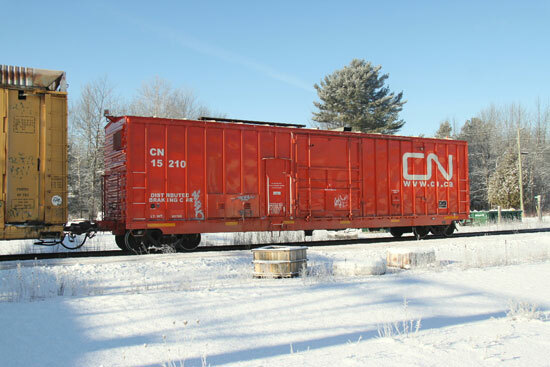 CP trains were rerouted onto the CN's Bala Sub. 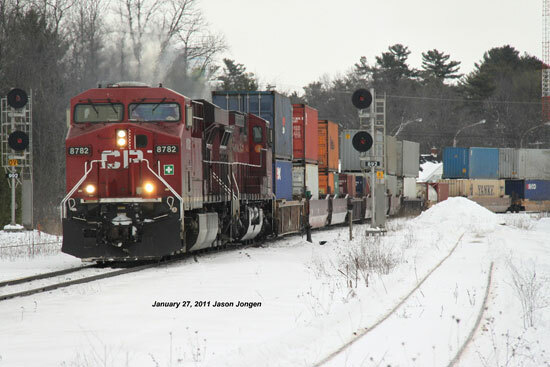 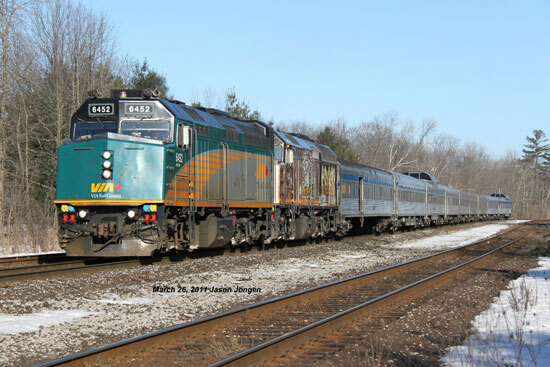 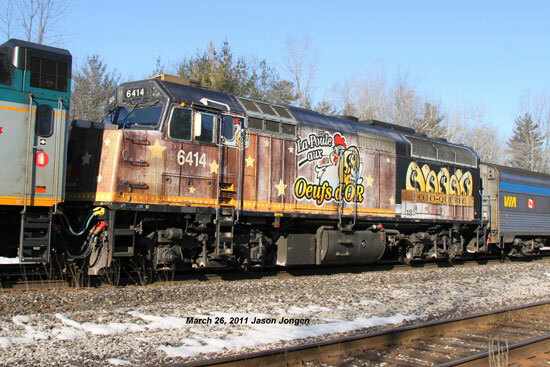 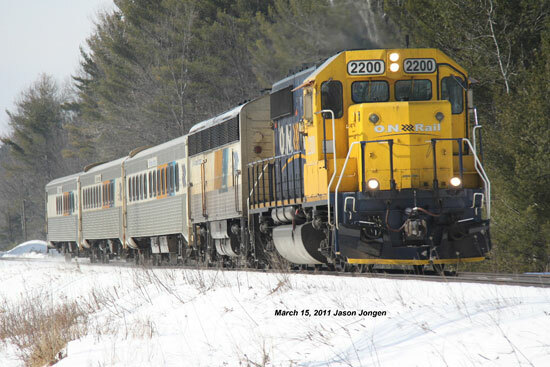 Jason caught these Canadian train photos during the two days of detour. 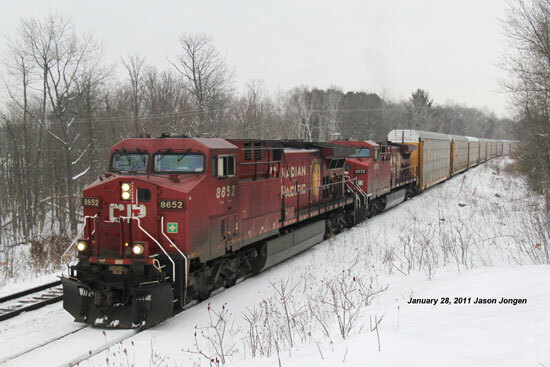 on the Bala Sub, January 27, 2011.
at 14:04 at mile 89, Bala Sub. 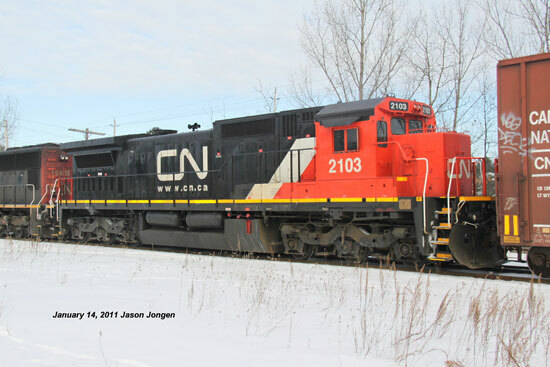 8th CP detour, #220 at 13:32 on the same day. 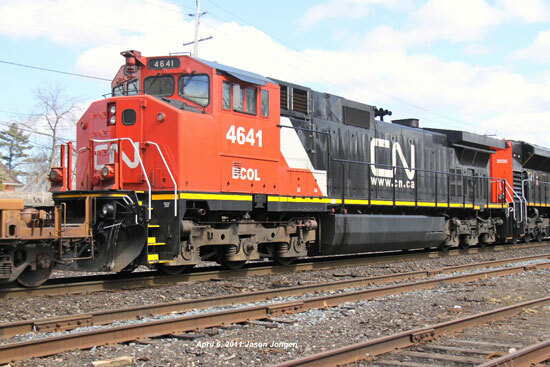 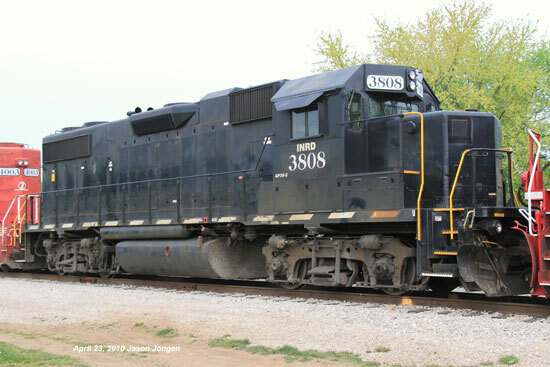 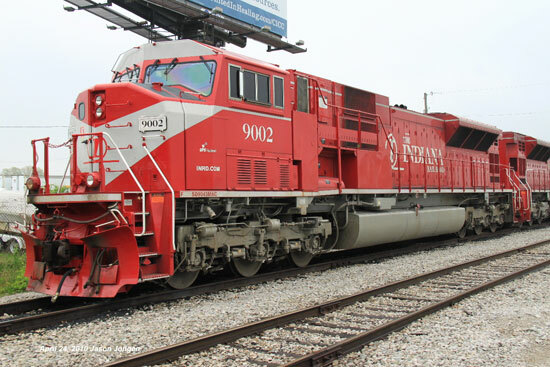 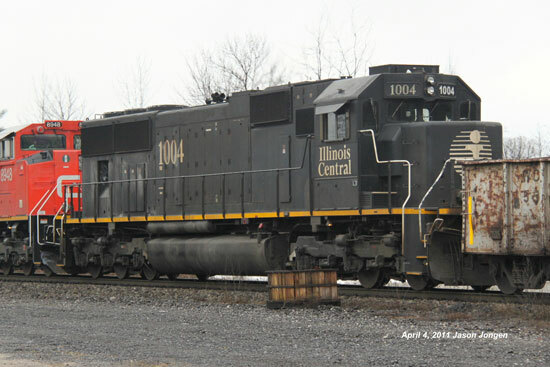 CP9125, an SD9043MAC. 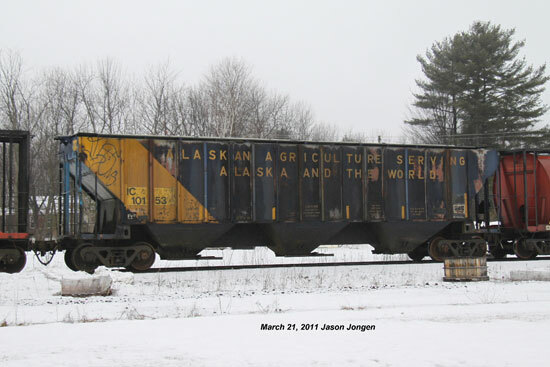 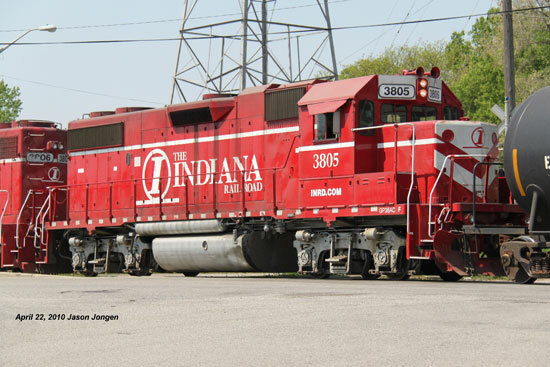 SP5765, an SD40-2, with a mixed freight, mostly grain cars. 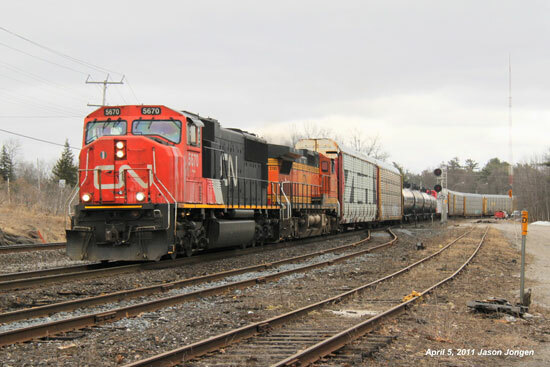 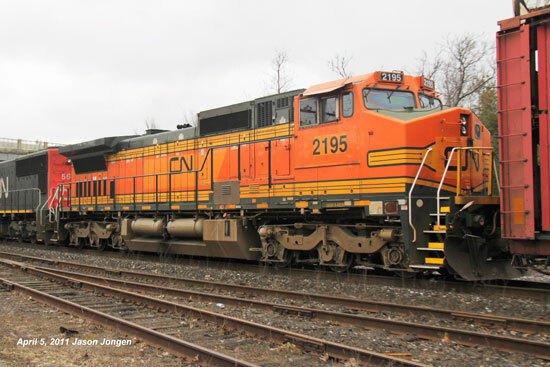 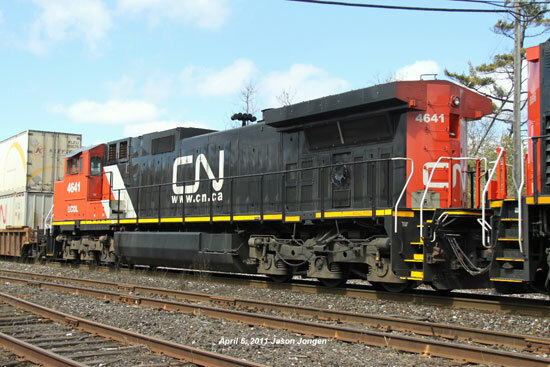 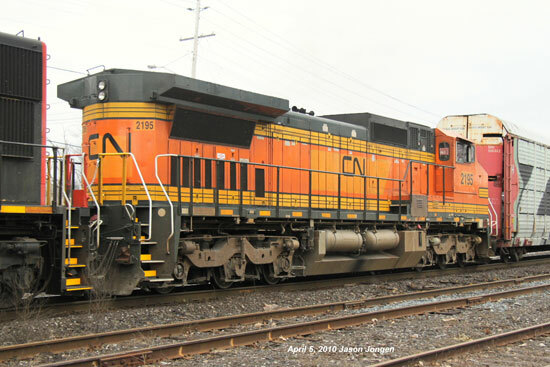 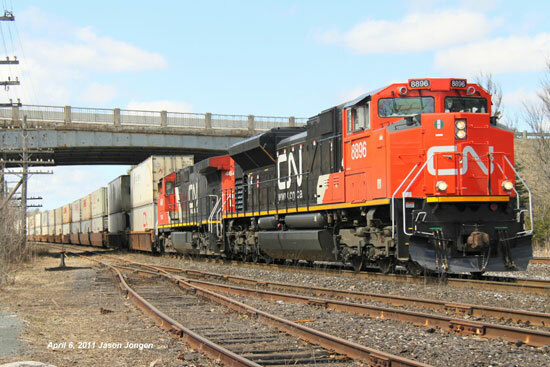 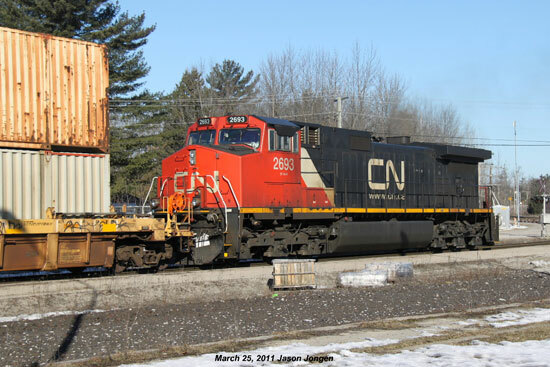 CN 316 by Washago with AD70M-2 CN8875, C44-9W CN2718 and GP-38 CN4707. 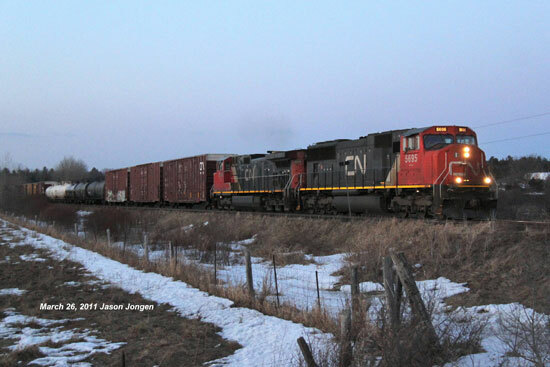 CN 450 at mile 103 Newmarket sub at sunset. 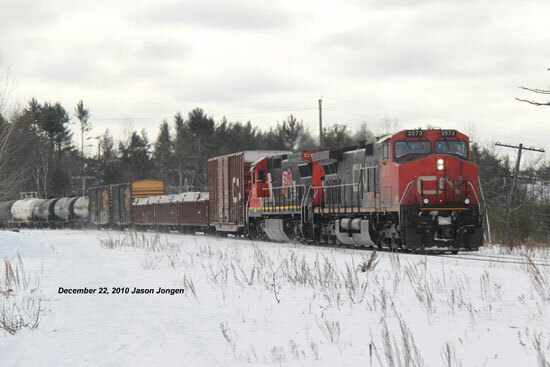 Let me know if you like Jason's Canadian train photos so I can tell him. 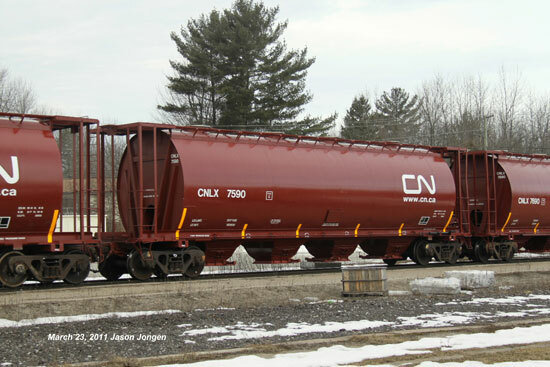 Maybe he'll pass on some more. 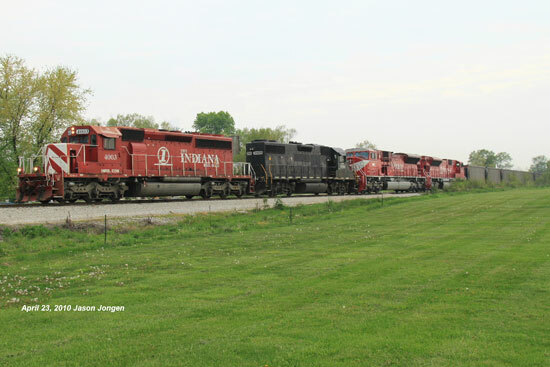 Use my Contact page to send me a quick note. 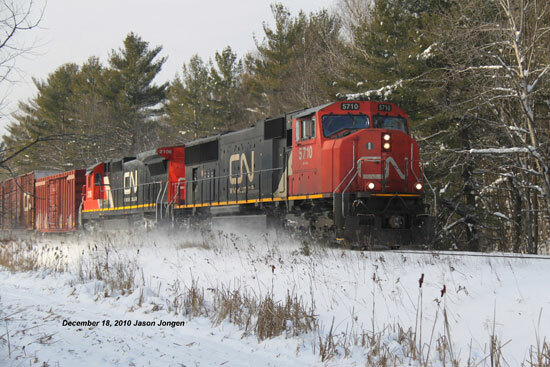 Go from "canadian-train-photos" to the Train Photos overview. 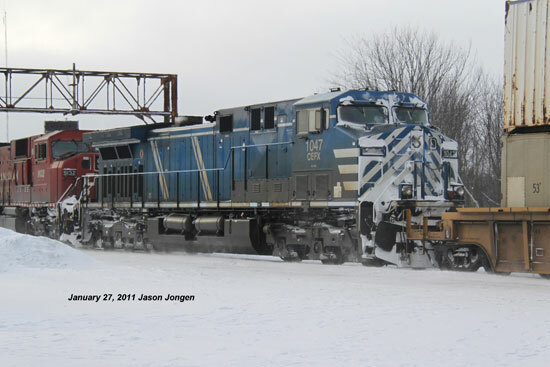 Go from "canadian-train-photos" to my Contact page. 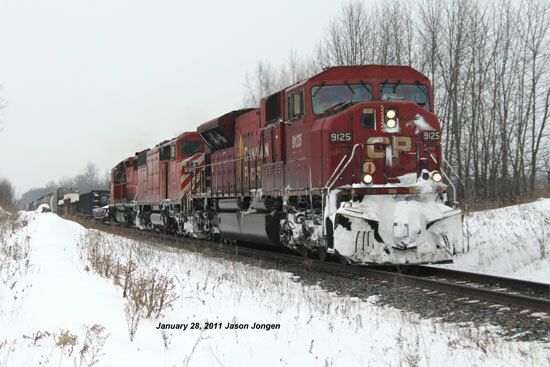 Return from "canadian-train-photos" to my Home Page.